This is the curious tale of Stephen Burnett, the brother of my 3x great grandmother, and his wife Abigail Hirst. Stephen was the son of Robert Burnett and his wife Ann Jackson. The Burnetts moved frequently in the early days of their marriage, probably as a result of Robert’s trade. He was a tinner/brazier. Many young tinsmiths took to the road as pedlars or tinkers in an effort to save enough money to open a shop in town. 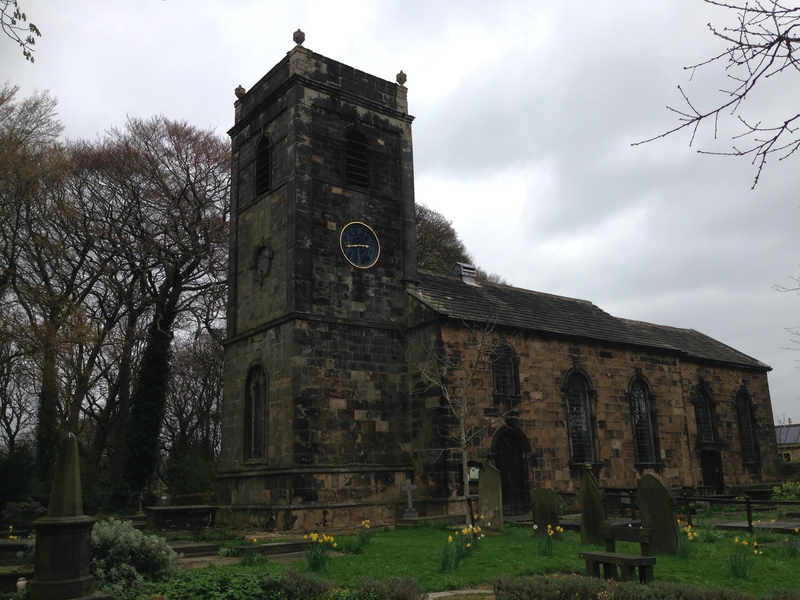 Stephen’s baptism is recorded in the Flockton Register for St Michael and All Angels Church, Thornhill on 5 June 1796. The family eventually settled in Drighlington, where Robert opened his business. Stephen did not follow the family trade. By the time he married Abigail Hirst on 24 December 1815 at All Saints, Batley Parish Church, following banns, he worked as a miner. Abigail was the daughter of John and Susannah Hirst. During this period, Batley was not the normal location for marriages for Drighlington folk. 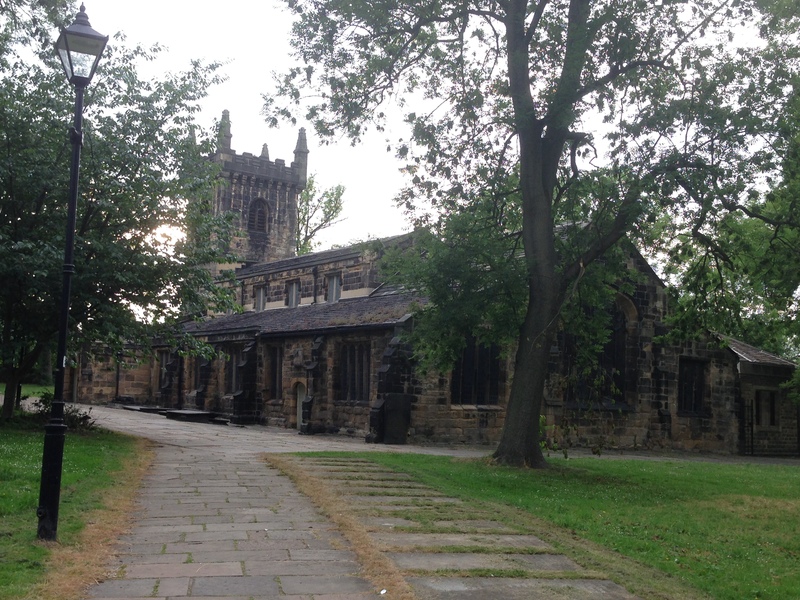 The town fell within the remit of Birstall Parish, and the normal venue for such occasions was St Peter’s Church in Birstall. However, within a short time of their marriage, there appears to have followed a strange turn of events. On 14 November 1816, with Abigail pregnant, it seems that Stephen travelled to Leeds to enlist as a Private in the Army, joining the 51st Foot Regiment, the forerunner of the King’s Own Yorkshire Light Infantry. Claiming to be 17 years of age he enlisted for life. In the meantime Abigail, now living in Adwalton, gave birth to a son, Thomas, on 5 April 1817. The baptism took place at St Peter’s Birstall on 1 June. Oddly, Stephen’s profession is described as a collier, no mention of the Army. Stephen may have been in Yorkshire in January 1821 because a Stephen Burnett acted as a witness at the marriage of John Burnett at St Peter’s Birstall. John was another of the children of Robert and Ann Burnett. The only question mark is that Robert’s father was also called Stephen, and to date I have not traced his death. However, whatever the circumstances, Stephen was clearly estranged from his wife. On 30 May 1825 in Batley Parish Church, the same location as her earlier nuptials, Abigail undertook what in effect appears to be a bigamous marriage to William Gallaway. There is no marital status indicated for either party in the Parish Register. It is a distinct possibility that Abigail was pregnant and this forced the issue. It appears she and William may have had a son, Joseph, born in Adwalton in around 1825. No baptism has been traced to confirm the parentage of Joseph. But he features in the 1841 and 1851 censuses with the family. In this period there was a seven years’ absence defence for bigamy. If a spouse had not been heard of for seven years and there was no indication as to whether they were still alive, in such circumstances the abandoned partner was free to re-marry. A variation of this was if the spouse had been absent and overseas for seven years. If the spouse subsequently reappeared, the second marriage, although not bigamous, would be declared void. However, if it was Stephen that visited home only four years earlier in 1821 this would cast serious doubt about the application of the seven year rule. An appearance at a family wedding would hardly go unnoticed. Neither could the overseas absence claim apply as, although Stephen enlisted in 1816, his Regiment was home-based until spring 1821. Within months of Abigail’s “marriage” to William events took an unanticipated twist. In November 1825, after eight years’ Army service, Stephen was discharged to pension. He was suffering from an illness described as “organic disease of the thorax”, which he contracted in Falmouth in 1818. This was now serious enough to render him unfit for further military service. His discharge papers describe his conduct as good. They state he was born in Flockton. They describe him as 5’6” tall, with brown hair, grey eyes and fair complexion. They also give his trade, a collier. It appears he immediately returned home to Drighlington, where he was again a witness at a family wedding – this time for his sister Mary in December that year. One cannot begin to imagine the consternation caused to William and Abigail when news of Stephen’s return reached them. Now at the very least their “marriage” would be declared void; at its worse the ignominy of a trial and the threat of transportation if convicted hovered over them if the truth came to light. They were spared the ordeal. An ill man, shortly after his return Stephen died aged 30. His burial took place at St Paul’s, Drighlington on 4 July 1826. This still left William and Abigail in a tricky situation. Now a widow she was free to marry and this is the course of action she took to legitimise her union with William. Swiftly after Stephen’s death, Abigail and William married at a different parish church, that of St James, Tong, on 1 October 1826. The entry in the register now states Abigail is a widow. And was it an accident or deliberate that William’s surname had subtly changed to Galloway? To conclude the strange tale of Stephen and Abigail, their son Thomas survived to adulthood. In the 1841 census he is living in Tong with Abigail’s parents. He married Betty Webster on 6 March 1843 and the register entry names his father as Stephen Burnett, miner. Thomas’ address at the time of his marriage is given as Farnley. After initially living in Tong, Farnley appears to be where Abigail and William settled sometime between 1839 and 1841. In addition to Joseph the couple had at least six other children. The youngest child was named “Hirst,” a reference to Abigail’s maiden name. There are a number of question marks over the theory behind the story. These include the baptismal entry for Stephen and Abigail’s son Thomas, and the possible reappearance of Stephen in 1821 for John’s wedding. Another apparent discrepancy is Stephen’s signature. Stephen could sign his name. Because of this we have four samples signatures taken from marriage registers and his Army papers. The entries in the various parish registers are fairly consistent. The signature on his Discharge Papers is not identical, being just his initial rather than full Christian name. But the rest of the signature is not out of step. So is the Stephen Burnett in the Army the Drighlington Stephen Burnett? I suspect it is, as the mystery which surrounds Abigail and William Galloway’s two marriages coupled with the timing of Stephen’s Army discharge and death seem to point to something being amiss. This is supposition. In the 1841 census, when no family relationships were given, Joseph is recorded in the Farnley home of William and Abigail, age 16. In the 1851 he is described as “son”. But that could equally refer to being the son of just William as it could to being the son of both William and Abigail. St James’ Parish Church, Tong Parish Register – Marriages. The place did have family associations, as by the time of the 1841 census, Abigail’s parents lived here.